18 kisses. 8 suspects, 1 victim . . . Jacki King loves being back in Dublin - she's enjoying the music scene and interning at Electric magazine. She still has flashbacks to the murder case she solved the year before, though her friends, especially Nick, keep her distracted. Until, one day, Jacki's frightening nightmares begin again. And when the police contact her about a local missing girl, she knows the two are connected. Two years before, on her eighteenth birthday, Kayla Edwards disappeared. No body has ever been found. But now Kayla is communicating with Jacki from beyond the grave - and she won't stop until the truth is revealed . . . This is the second book about Jacki King and her ability to communicate with the dead. I hadn’t read the first book Angel Kiss, but this books fine as a stand alone novel. There have been a number of crime novels released lately for teenagers, which does make a nice change from sci-fi and fantasy. 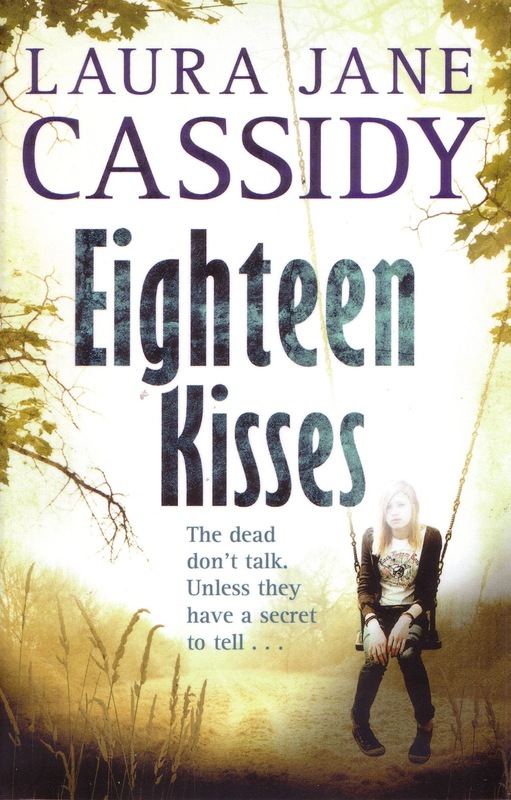 This also has the supernatural element, as Jacki has been asked by the police for her help in a missing person case, she dreams about dead people. I would guess that Jacki is about 17, she’s still at school, but trying to figure out what she’s going to do with her life. She’s a talented musician and songwriter and music is her life. She has a boyfriend who seems distant, a best friend who is distant (she’s in Dublin) and a mother who is due to have another baby. On top of all of this, she has a newly discovered talent that allows her to communicate with the dead. The earlier case she helped on (I assume the basis of the earlier book) is referred to, but this is all still new to Jacki, and she is surprised when the police ask for her help on a number of cases, all involving missing women. In order to help the police, Jacki needs to be in Dublin, and as she’s still a student, she needs a legitimate reason to be in Dublin. This reason comes in the guise of a few weeks work experience with the very cool music magazine, Electric. The first case that Jacki is asked to work on is that of missing girl, Kayla Edwards. Almost immediately Jacki has a dream about the girl, who takes her to her grave. This seems like a great start, but Jacki then needs to figure out where this grave is, and even then she needs more evidence for the police before they will start digging. Jacki needs to interview everyone who was at Kayla's party and piece by piece she starts to solve the puzzle. Like any good murder mystery there are a number of suspects, and lots of twists and turns. It's not giving too much away to say that Jacki does indeed fond the murderer. Her success on this case means there will be another book about Jacki, as the police need her help to catch a serial killer.